Toolbox Parenting Groups are ran nationally by the Parenting Place. 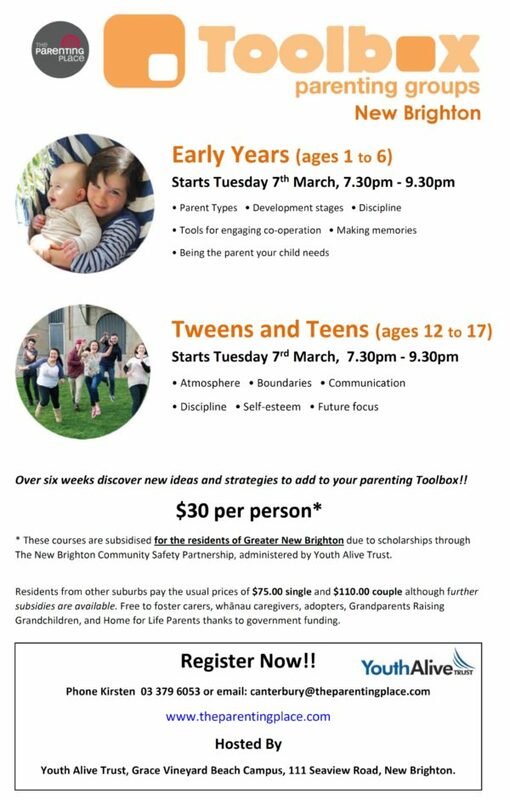 They are inspiring, fun, practical small group parenting courses, ran over six session, two hours a week. Courses are aimed at parents with children in specific age groups, 0-6 early years, 6-12 middle years and teens and tweens. See what courses we're hosting below!